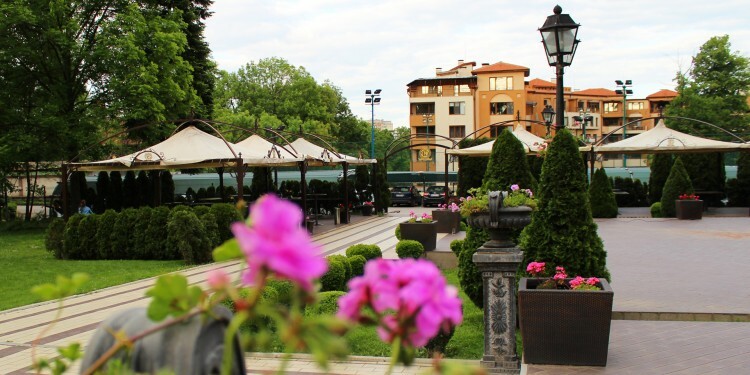 (Bulgarian) Комплекс за спорт и отдих "Глория Палас Дипломат"
The hotel “Gloria Palace” is perfectly located overlooking Vitosha Mountain. It offers not only peace and quiet, but ensures quick access to the city as it is only 15-20 minute drive to the centre. 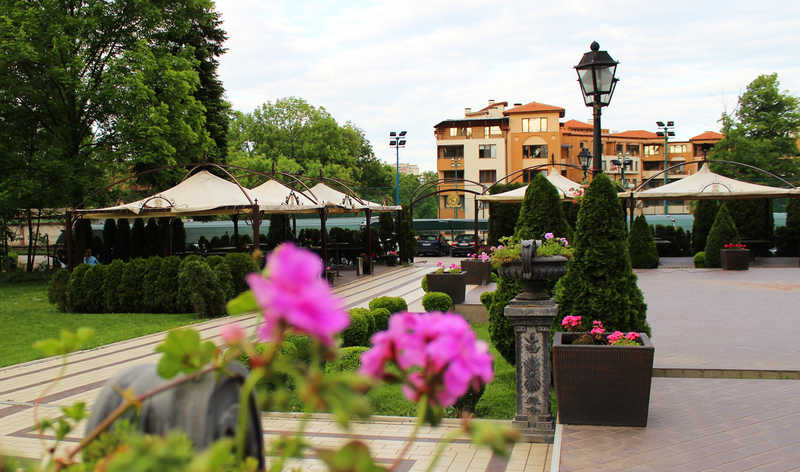 Both the holiday village and the hotel are part of Gloria Palace Diplomatic Club and its park of 2.5 ha. The hotel has 6 rooms and 2 suites and the holiday village has got 10 villas, each one with own patio. The interior design of the rooms offers unique comfort and coziness. The decoration, furniture and service meet the needs of the guests and guarantee a pleasant and comfortable stay. Our guests will enjoy a perfect holiday in the best way possible in “Gloria Palace”, spending time in the park, restaurants and cafes, or by the pool, refreshing in the gym, relaxing with a massage, playing tennis and paddle and so forth. Furthermore, we offer and organise conferences and other events, such as wedding parties, baptism and christening reception parties and many others. Each villa has two floors. On the first floor there is a living room with TV, mini bar and a bathroom with a shower cabin. The second floor of the villa has two bedrooms with an option for double or single beds, and a bathroom. Each villa is equipped with air conditioning system for cooling and heating. In addition to the atmosphere, the villas have own patios. There is an Internet connection available in the whole area of Diplomatic club “Gloria Palace”.